Finland is famous for hosting amazing festivals, especially during the summer. Festivals in Finland are known worldwide, and thousands of people travel from across the globe to experience them. 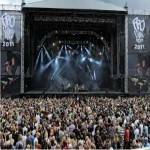 Some of the most popular music festivals in Finland are Weekend Festival, Down By The Laituri (DTBL), Finnish Metal Expo, the Ilosaarirock Festival, Tammerfest, Ruisrock Festival, Provinssirock Festival, and the Pori Jazz Festival. 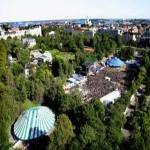 Many of these Finnish music festivals are rock themed, however the Kaustinen Folk Music Festival which is held annually, is the biggest folk music and dance festival in the Nordic countries. Festivals are typically held outdoors, where many musicians, singers and bands from all over Europe can preform on stage in front of thousands of people. Other popular Finland events include Finland's largest arts festival, the Helsinki Festival and the multi-arts festival Kotka Maritime Festival. The world famous Midnight Sun Film Festival is the northernmost film festival featuring known directors and those just entering the industry. In addition, the World Village Festival which celebrates culture from around the world is a wonderful entertainment for the whole family. 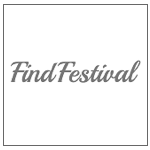 No matter what style, theme or even size people are looking for in a festival, it can be found in Finland.